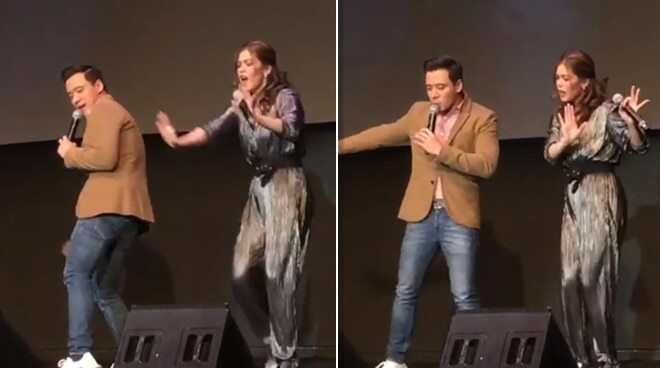 Shaina Magdayao and Erik Santos flew to Spain as part of TFC and DZMM’s Global Pinoy Idol event. ABS-CBN radio station DZMM and The Filipino Channel (TFC) once again joined forces for Global Pinoy Idol where 22 Filipinos from Belgium, Denmark, France, and Spain received recognitions for their outstanding contributions to Pinoy communities abroad. Held at the Teatro Goya in Madrid Spain, the event was hosted by news anchor Karen Davila and radio host Ahwel Paz.